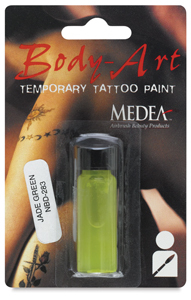 These waterproof colors are ideal for hand-painting realistic-looking temporary tattoos. They're fun, safe, non-toxic, and they last for days. Only the attitude is permanent!